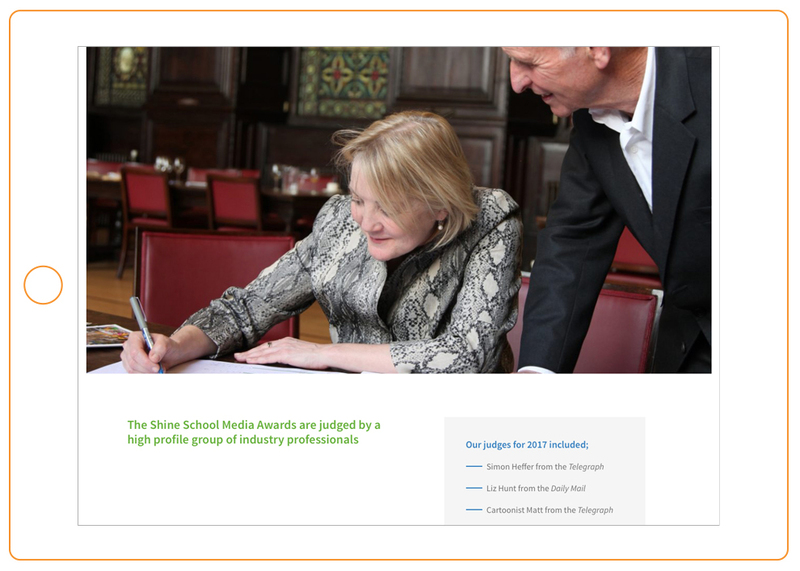 We’re really proud of our association with the Shine School Media Awards which goes back several years now. Our work has covered the gamut in that time. From rebranding the awards, designing their book of winning students each summer over the last four years, to now creating a completely new website. It had long been our intention to rework the site which we originally laid out in 2014. Time moves on and the build from three years ago needed a fresh start. We’re keen to attract the attention of students who are teenagers from 13 or 14 years old… and these guys are smart! So we’re needing to appeal to some of the most tech-savvy young people you’re likely to find in the UK. It’s all well and good being ‘down with the kids’ but ‘the kids’ need experience and information. And lots of it. This information comes in the form of good advice and suggestions on best practice for creating a school magazine or website. We were keen to present this in a way that felt digestible and interesting. However at the end of the day this also needs to be practical too. ‘Practical’ is not very ‘Generation Snapchat’ is it – but equally our future entrants are using school textbooks every day. So if we take a little practical guidance from the approach of the best of those from a creative perspective, our feeling was that we are probably on to a good thing. The pages of the site are crammed with guidance from the simple to the technical. In particular it was my feeling that there needed to be a place where you could ‘start from scratch’, otherwise a newby really would be overwhelmed. So that’s in there – and from that stage on the content gets more in-depth. 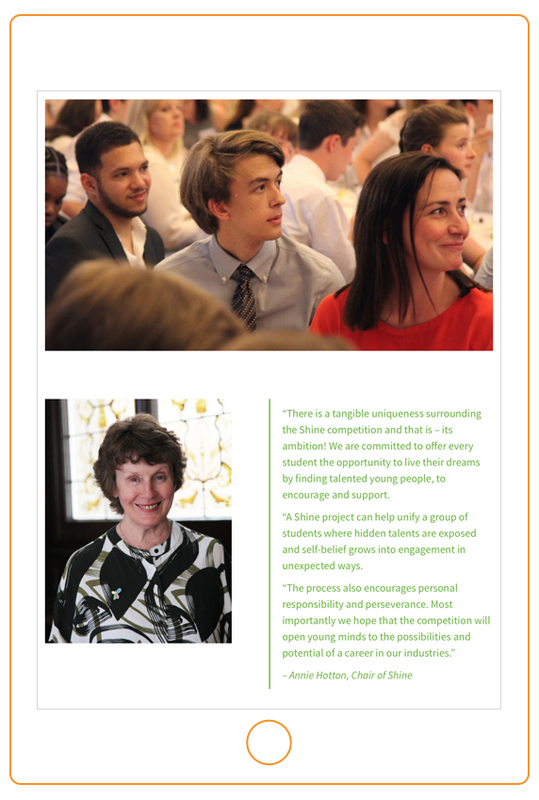 Key to any charitable programme is the investment of time and money from key sponsors. Shine is particularly lucky in this regard, having the backing of the Stationers’ Foundation as its primary backer. 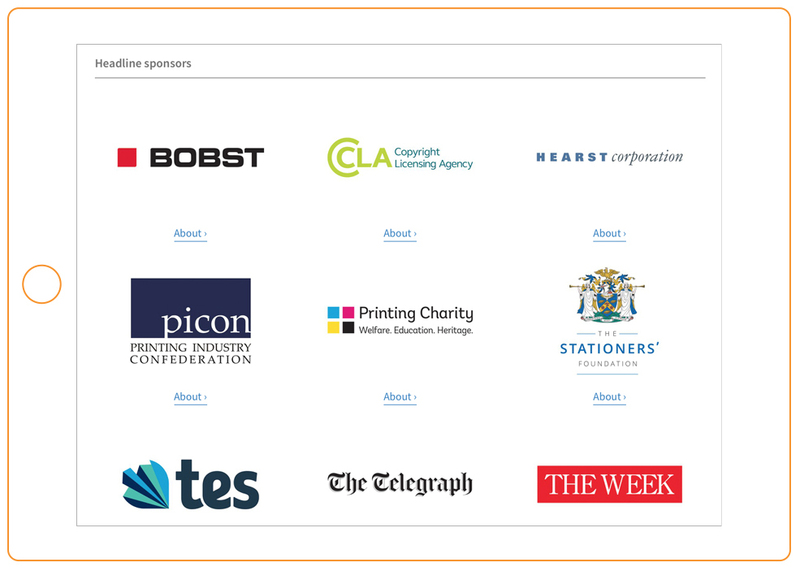 From then on, it’s a raft of the great and the good in the printing industry who are generous enough to be involved in the awards. From a web design perspective, we were particularly keen that the Sponsors section of the site be re-thought such that it appealed to a new generation of sponsors, including a custom-designed section and each sponsor having its own page. … and so on – all within a single template. Much of this planning can then be applied to the site’s busy blog which is central to the marketing and visibility of the awards programme. All in all, the end result is a flexible modern site which will see the Awards through the launch of the 2018 programme and the years to come. 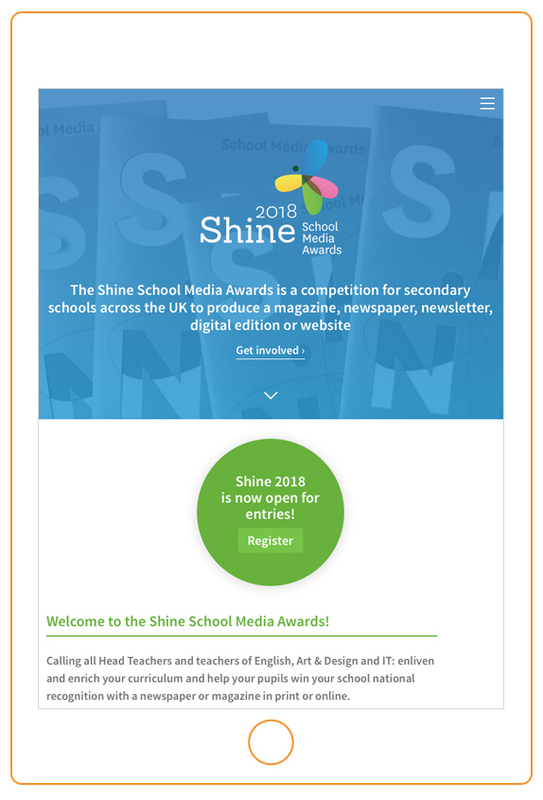 Working across several media, we have developed a brand identity for the Shine School Media Awards – as well as extensive print design. Our portfolio of this work is below.